I left the toddler for all of 50 seconds to put the washing in the washing machine and he’s been up to no good. 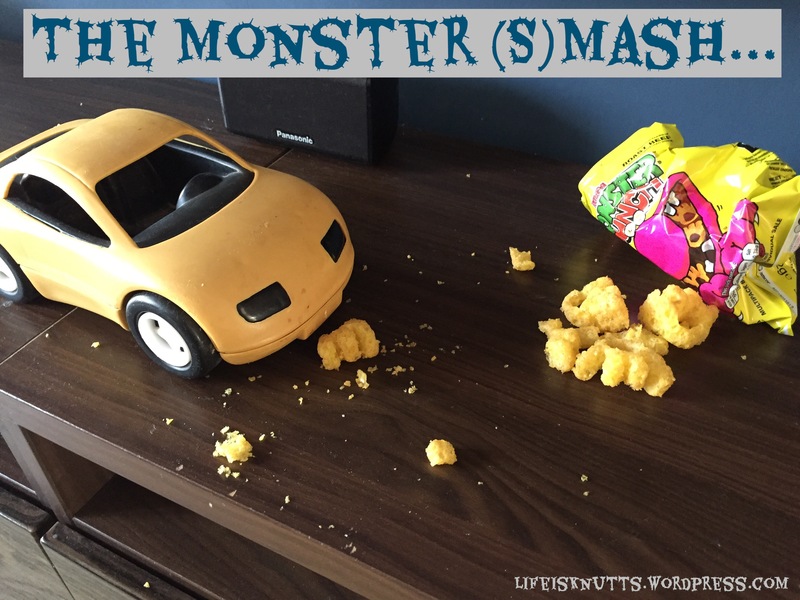 The toddler has found bag of monster munch that were in my handbag (I always keep a bag of crisps in there for emergencies – doesn’t everyone?! ), opened them by stamping on them (evidence of this all over the floor) and has then run them over with a giant toy car on the tv unit, smashing them to smithereens. Great. What a mess. And what a waste of a perfectly good bag of Roast Beef monster munch…simply unforgivable. Isn’t it fun having a toddler around to do fun stuff like this? I have smashed rice all over my family room because he didn’t feel like eating his dinner one night, threw it on the floor, stepped on it, and then ran it over with his big wheel. Never a dull moment.